This entry was posted in 5G and tagged 5G test bed, Ericsson, IMT 2020, India, LAA. Bookmark the permalink. The size of the band is also important and it is important to leverage a minimum of 100 Mhz in the 3.5GHz band as the starting point,” Jio’s president Mathew Oommen told Economic Times. 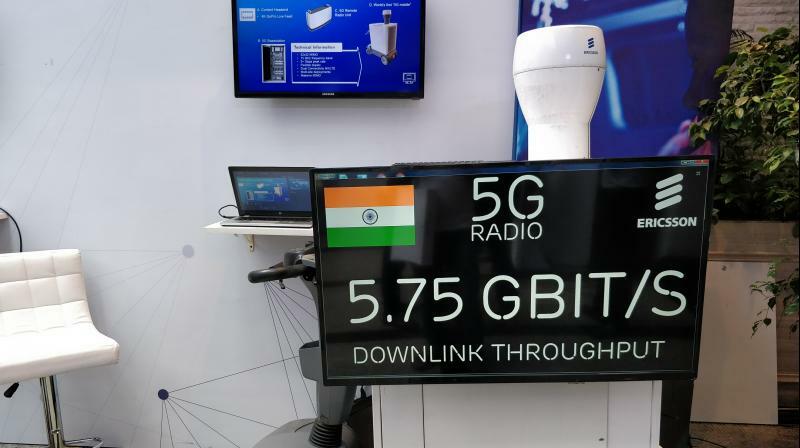 The India government is looking to roll out ultra-high speed data services based on 5G technology, and has recently constituted a 22-member high-level 5G Forum to evaluate and prepare a road map and action plan to meet the 2020 timeline. Great! This Ericsson 5G Demonstration had a throughput of 5.7 Gbps and ultra-low latency of 3 milliseconds. India’s Department of Telecom (DoT) will support a 5G-test bed at IIT Madras.